We are happy to announce the release of Qt Creator 4.5.0! Variables in the configuration UI in the Projects mode are now grouped by prefix, and have type-specific editors for boolean and path values. You can also change the type of variables and unset accidentally added ones. Also, we improved the handling of configuration changes outside of Qt Creator. The change notification now shows detailed information about how the cached values differ from the values on disk. Since Android SDK tools version 25.3.0, there is no UI tool available to manage the Android SDK packages. Because of that, we have added such UI to Qt Creator. Unfortunately, the command line tool for managing SDKs that is provided with the SDK cannot update packages on Windows, and fails with JDK 9, so this applies to Qt Creator as well. Also, we provide better information about problems with the installed SDK, such as missing components or not met minimum version requirements. Qt Creator no longer supports local deployment nor Ant, starting with this version. Both features have been deprecated for a long time. We started on making the File System navigation pane more useful. It is showing a file system tree now, and you can select the root directory from a list containing the “computer” root, your home directory, your default projects directory, and the base directories of all the projects you have open in Qt Creator. More features are to come in the future. Locator now does fuzzy camel case matching in the same way as code completion does. For example, you can type “c andesu” in the locator to open the “AndroidDebugSupport” class. On Windows, we fixed detection of Visual Studio Build Tools 2017. For iOS, we had to fix our mechanism for switching between simulator device types with Xcode 9, because that changed the behavior of the Simulator application. If you used Tools > External > Text > Sort Selection before, and wonder if we have removed this useful feature, I can reassure you that we have not. On the contrary, we made it a first-class citizen instead of an external tool, and moved the menu entry to Edit > Advanced > Sort Selected Lines. This release includes many more improvements and fixes. Please, take a look at our change log for a more detailed overview. The opensource version is available on the Qt download page, and you find commercially licensed packages on the Qt Account Portal. Qt Creator 4.5.0 is also available through an update in the online installer (as an update to 4.4.1). Please post issues in our bug tracker. You can also find us on IRC on #qt-creator on chat.freenode.net, and on the Qt Creator mailing list. The default Qt Creator configuration for CMake on Windows 10 didn’t work. I installed CMake and had to put Ninja to get anything to compile. I also hope that updating Qt Creator via the SDK installer doesn’t steel the C/C++ associations. Why doesn’t Qt Creator ask where to put the config files when starting a new CMake project and instead it starts filling up my tem directory. That should be user configurable before any automatic configuration is initiated. Because I do not want to create build directories all over the place just because a user wants to open a project for a quick read. That behavior is configurable though: You can ask creator to create build directories straight away in the Tools>Option>Build & Run>CMake. You can also fine tune the path of the generated build directories in Tools>Options>Build & Run>General. This version is still using the 3.9 clang backend right? And so not supporting C++17 syntax? 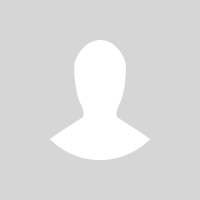 Is there any plan to use a more recent version of the backend? Can we use a different Clang version with 4.5, or would that break stuff? In other words, if Clang 5 is installed on a Linux system, can we point Creator to it? > Can we use a different Clang version with 4.5, or would that break stuff? > In other words, if Clang 5 is installed on a Linux system, can we point Creator to it? Potentially this might break stuff as the Qt Creator side might not be (fully) prepared/adapted for a newer version. Practically I know people having this particular combination built+running. Of course, you are on your own here. It is possible to enable “case insensitive” mode? I’ve created https://bugreports.qt.io/browse/QTCREATORBUG-19434 for you. CPU-eater! Running Qt Creator 4.5.0 based Qt 5.10.0 (MSVC 2015, 32 bit) and no project opened needs 30% CPU load stable ( i5 4x 3.2 Ghz), normal is 0% (Visual Studio), same with 64 bit. Same happens for me, albeit ‘only’ 12 %. Before it happend only when a cmake project was loaded. When will finally be the pdbs available so I can create stacktrace for the thread? Using process explorer, I can see that the start address of the offending thread is ig75icd64.dll!SetLayerPaletteEntries+0x950. So I guess the problem also depends on the Graphics driver of the machine. Hi thank you for reporting this, and especially for narrowing it down to something graphics related. I created https://bugreports.qt.io/browse/QTCREATORBUG-19458 and it would be great if you could add your system information to the comments, so that we know where to look at. I see glitches where the mouse cursor changes to the “thinking” mode and doesn’t change back. Hover out of the window and back again refreshes it to normal again. I see this particularly happening when I press F2 to follow a definition. Windows 7, Qt Creator 4.5. Please add context menu to add and delete files, drag-and-drop support and highlighting of files that are sources of CMake targets. Thanks for adding Android SDK Support! 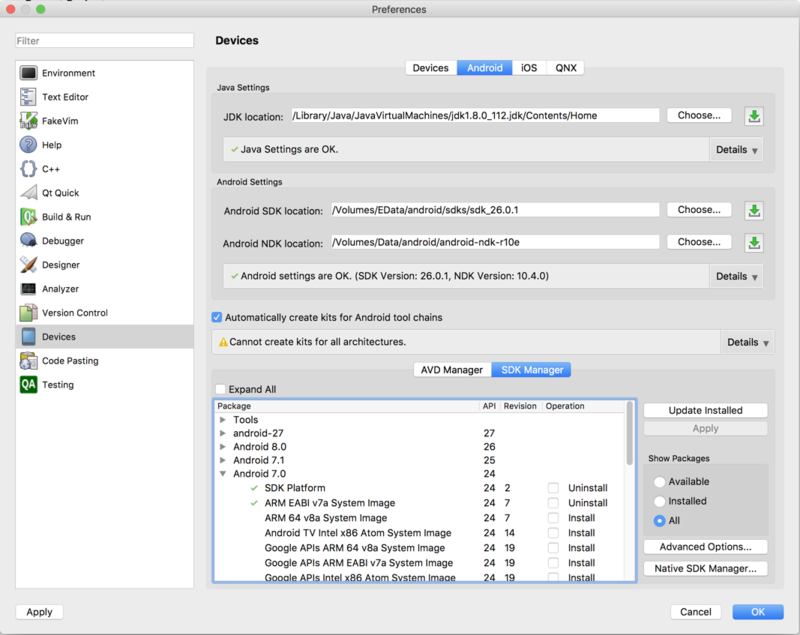 Install Android Studio just for SDK management was a mess…Why Google? Could you please add ability to open several recent “last sessions” to Qt Creator ? I now I can file a feature request in BT, but to my experience they are never reacted. please create a suggestion on bugreports nevertheless. Developers will only work on topics they are aware of. I guess your feature will have low priority, but that does not mean, others will find it useful too. And who knows … a lot of features is based on suggestions. I helped a coworker install a 4.5 version and noticed that he got a bunch of nice-looking hammer icons identifying all of the cmake targets in his Projects tree. I am on the same version and I do not see those. I’ve tried wiping all kinds of Qt Creator files that might have some old configuration information (~/.config/QtProject.conf ~/.config/QtProject/*), but I can’t get the functionality he is seeing. Thanks Eike! I hadn’t even considered that. Are there any plans on adding remote building of projects to Qt Creator? The remote deployment and debugging is super useful when using embedded devices however it would be nice if i could build the project on another computer. With this feature it could then allow for a standard Docker environment to be created to cross compile for multiple targets / devices. Which would be a massive time saver. This is slowing down the startup of the projects and getting the perception that the application is freeze. It looks like you enabled the experimental ClangRefactoring plugin at some point. Open Help > About Plugins, tick the “show all” box on the right hand side, look for ClangPchManager and disable it to get rid of ClangRefactoring and its dependencies (and restart Qt Creator). Thanks for you reply. Actually ClangPchManager was disabled but ClangRefactoring was enabled. With both plugins deactivated the opening of the projects returned to be as fast as ever. Thank you. Where is the console stub process if I run a console application? In Qt Creator 4.4.x after the application has ended the console windows was still open with all the stuff printed to it. In Qt Creator 4.5 there is no more stub process and the console window disappers after the process ends inclusive all printed information to it also. How can i get the previous behaviour back? Since Qt Creator 4.5.0 I am not able to run “cmake” from Qt Creator anymore. It seems like CMake is only executed once after loading the project. Subsequent runs of CMake just show the typical “boxes” in the lower right corner about “Parsing C++” but the General Tab does not show any CMake output anymore.